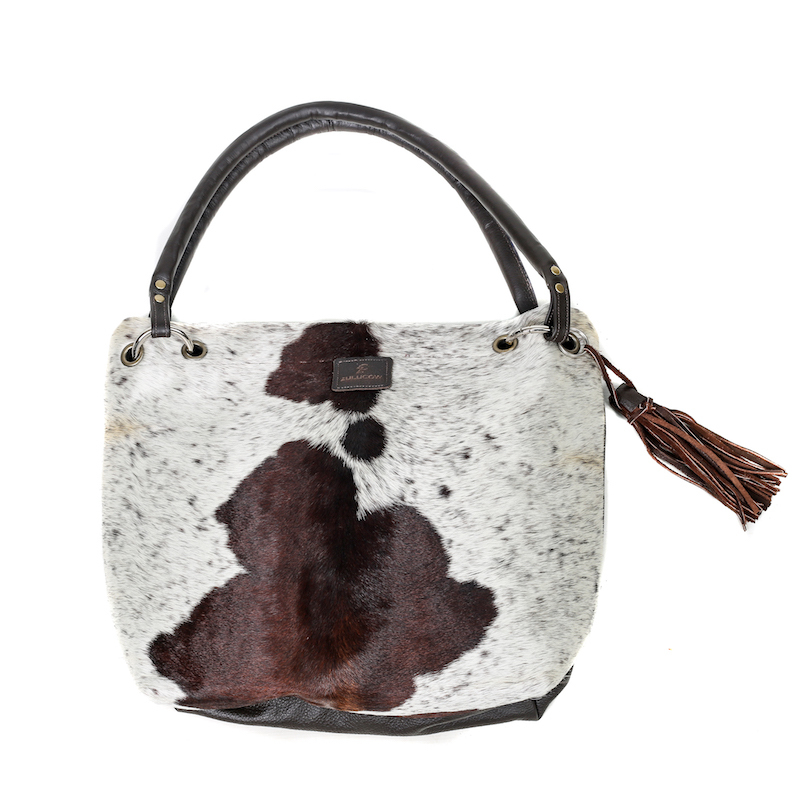 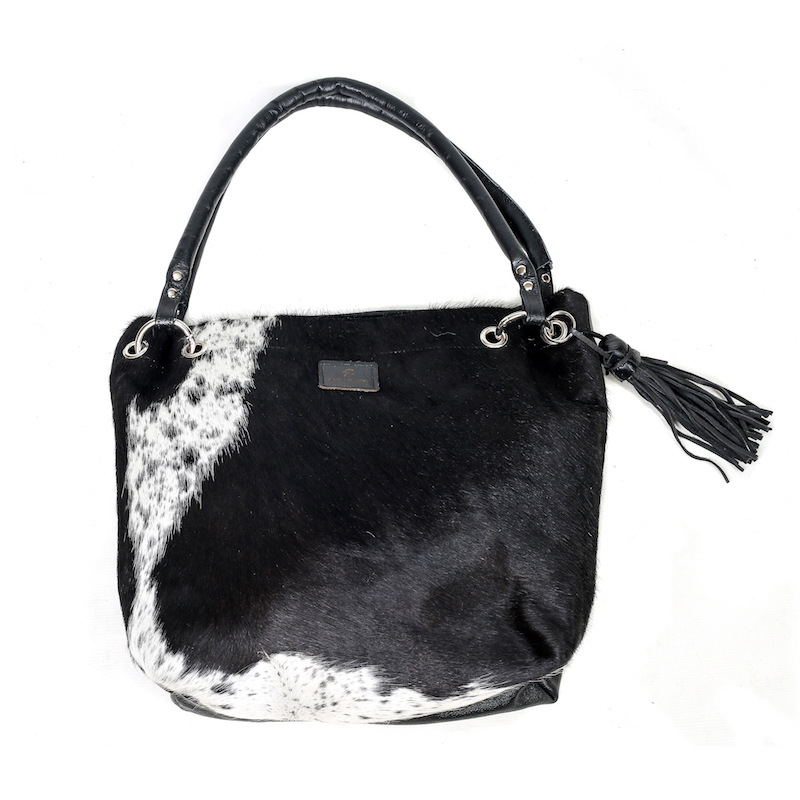 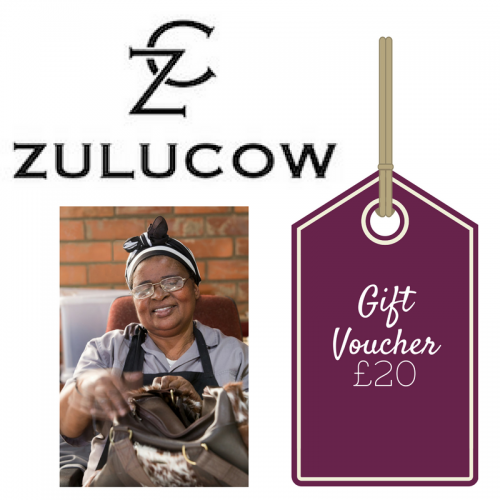 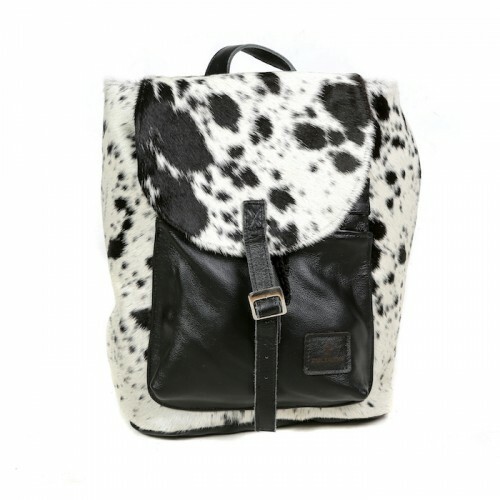 The Zulucow Cowhide Slouch Shoulder bag has been finely handcrafted with high quality, natural, luxurious leather and dramatic Nguni cowhide. 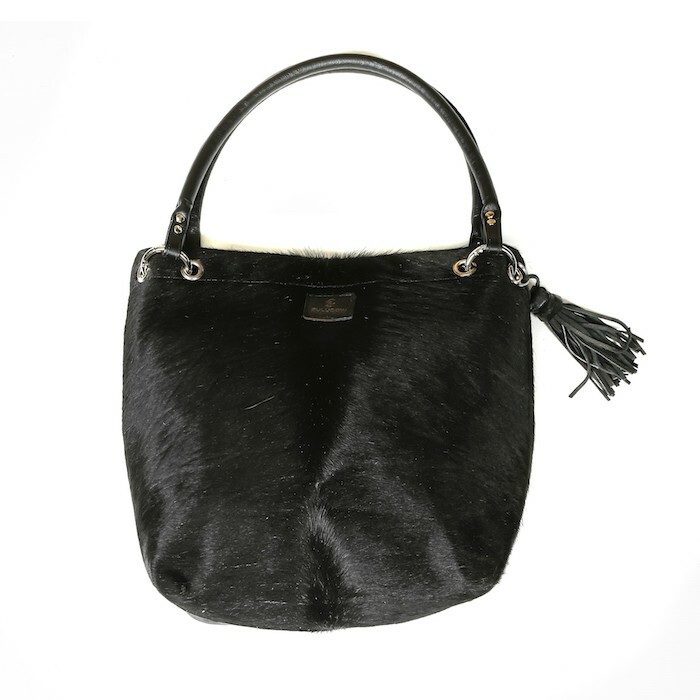 With its polished take on slouchy hobo styles, this spacious bag is perfect for busy weekends whether you’re running errands, chasing after the children or at an airport. The perfect off or on duty bag. 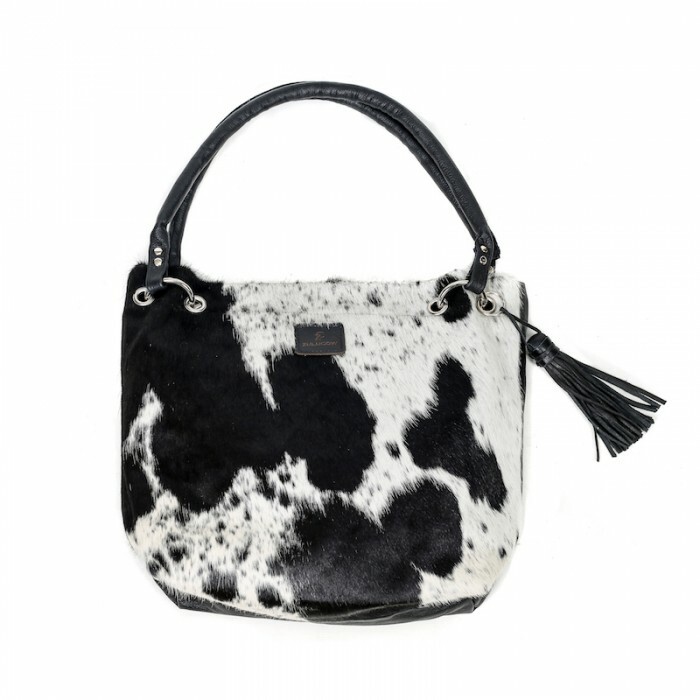 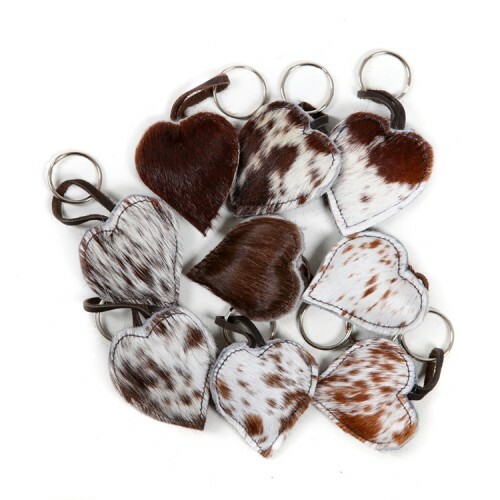 The Zulucow Cowhide Slouch Shoulder Bag boasts a dramatic cowhide front and sumptuous natural leather back. 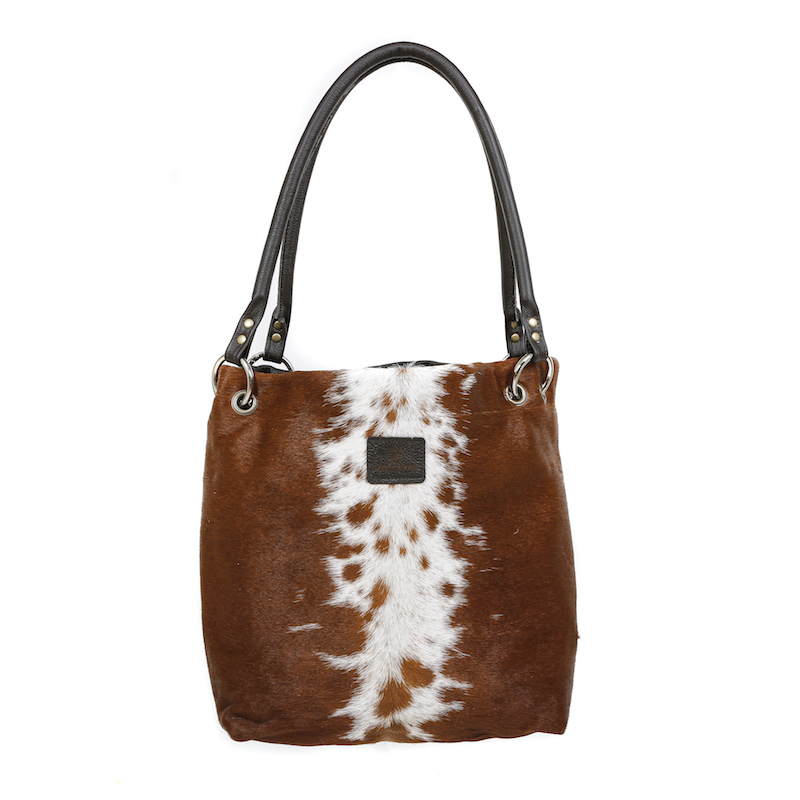 It has a slouchy feel with acres of room and two large interior pockets (one zipped); a luxe suede lining; a high quality magnetic clip closure and strong yet supple curved handles, which sit comfortably on the shoulders.